Other artists scheduled to appear include Tommy Brown & The County Line Grass, Moonshine Drive, Higher Vision, Philip Steinmetz & His Sunny Tennesseans, Blue River, Daniel Patrick Family and Bluegrass 101. 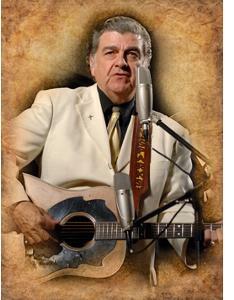 Larry Sparks is among the most widely-known and respected touring musicians in bluegrass and gospel music today. Larry began his career in the mid-1960”s as guitarist with the Stanley Brothers and later became lead vocalist for Ralph Stanley and the Clinch Mountain Boys. Larry went on to form his own band in 1969 (the Lonesome Ramblers) He has recorded and toured with his band for over four decades, releasing over 60 albums and delighting countless fans with his soulful vocals and unparalleled musicianship. Larry received the honor of being inducted into the Bill Monroe Bluegrass Hall of Fame. Larry has also been nominated for a Dove award for his Gospel album New Highway. 2013 will find Sparks celebrating a half century in bluegrass music and songwriting. Congratulations Larry! The event also includes clogging, Fiddle, Banjo, Mandolin and Guitar Workshops. The Master of Ceremonies will be Sam Jackson. There will also be all night jamming at the Sleep Inn & Suites in the Breakfast room. Conference Center Jamming close at 10:30 each night. There will also be rough camping accomodations at the conference center site.